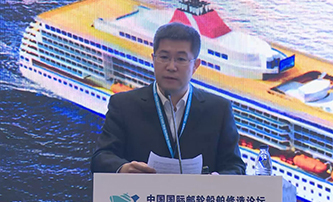 The 2nd China International Cruise Ship-building Forum jointly hosted by China Association of National Shipbuilding Industry(CANSI), Shanghai Association of Shipbuilding Industry, Shanghai International Cruise Economic Research Center, The Commerce Committee of Shanghai Baoshan District, Shanghai CSSC International Cruise Industry Park(Shanghai Baoshan Industrial Park), and supported by China's Society of Naval Architecture and Marine Engineering, Shanghai Baoshan People's Government has been successfully held in December 1-2, 2017 in Shanghai Lake Malaren International Convention Center, China. 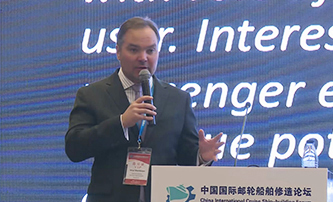 This forum on the subject of “Accelerating Localization Process of Luxury Cruise Manufacturing, Boosting National Strategy of Made in China 2025”attracted about 300 domestic and foreign professional participants from 20 countries and regions including China, UK, Germany, Italy, France, Finland, Denmark, Croatia, Norway, Sweden, USA, Singapore, Korea, Japan etc.to participate in. The forum brought together governmental authorities, industry associations, cruise lines, shipbuilders, repairers, cruise ship design, cruise ship construction materials, ship interiors and decorating, classification societies, banks/financial institutions, colleges & universities, cruise and shipbuilding industrial park and other related cruise manufacturing industrial chain suppliers etc., to jointly explore and discuss hot issues in luxury cruise shipbuilding.During two days’ forum, all speakers/panelists from abroad and home brought us a brainstorming and industry analysis for two days’ conference which concentrated on a series of hot issues: cruise ship construction , cruise ship design, cruise manufacturing supply chain, cruise vessels renovation & maintenance, international classification, cruise investment & financing etc. At the same time, the unveiling ceremony of China Cruise Supplier Industry Alliance and China Cruise Supplier Research Base, launching ceremony of First International Cruise Ship Concept Design Competition, Cruise Shipbuilding B2B Business Cooperation Conference, Shanghai Baoshan Industrial Park Merchants Policy Explanation and industrial park visit tour have been also successfully held during the forum, which has become the most authoritative, most professional and most influential cruise shipbuilding forum in luxury cruise ship-building and manufacturing supplying industry in Asia, and won unanimous praise from all attendees. 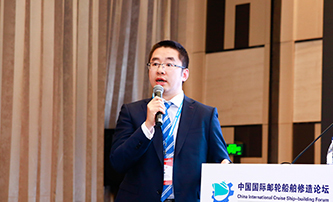 Zhang Shaoliang, Deputy director of business and trade,Tianjin Xingang shipbuilding Heavy Industry Co., Ltd.